Corn stalks and cobs that are already in storage could help in the effort to dispose of the thousands of turkeys lost to the bird flu outbreak. 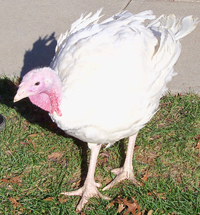 Turkeys are typically composted in the same barns where they died. Mike Naig of the Iowa Department of Agriculture says the corn waste can provide the carbon needed to get the carcasses to break down. U.S.D.A. is looking at really all options in terms of trying to bring in the carbon that’s needed for composting,” Naig says. He says the combination of heat and corn waste, or other carbon-rich material, will accelerate the decomposition of the birds. The corn stalks and cobs and other waste left over when the corn is harvested is known as stover, and is used in Iowa’s ethanol plants. “We’ve got a couple of companies that are working on cellulosic ethanol and I believe they have to some extent been consulted with and maybe even participated in providing some of that carbon for the composting effort,” Naig says. Niag says the composting process kill the bird flu virus, and leave the farmer with a safe compost to spread on fields. The Iowa Department of Agriculture website shows approximately 967,000 turkeys at facilities in five Iowa counties have been hit by the bird flu. There are 11 infected turkey facilities in Buena Vista County, five in Cherokee, five in Sac, two in Pocahontas and one in Palo Alto County. While the number of birds in laying facilities can easy top one million, the largest number of turkeys reported at one facility is 100,000.